The Roman Legions Recreated in Colour Photographs: Author: Daniel Peterson. YOU HAVE TO BUY THIS BOOK FIRST! It is, without a doubt, the best thing for the reenactor to get, as it shows full-color photos of Roman reenactors! If the movie "Gladiator" shows Roman troops in all their glory on the big screen, "The Roman Legions: Recreated in Colour Photographs" captures all this glory in a book. The photos contained in this book are the marching Roman recreations you see on The Learning Channel, PBS, Discovery, and other educational TV shows. The author, Daniel Peterson, is a military historian and a museum curator and is also the organizer for the largest and most accurate recreations of the Roman military life. He's a member of the world's only authentically reconstructed Roman Calvary unit and in his personifying role has lived, marched, and ridden hundreds of miles across what was once the Roman Empire. His unit is authentically armored and equipped and prepares and eats authentic rations during their outings as Roman Legions. It goes without saying that his book is just as he envisioned it down to the last detail. Suffice to say, the photos are absolutely stunning! There are hardly any drawings, paintings, or "historical art" in this book; that is all photos of Roman gear and equipment are real replicas and are worn by real humans. Front and back views are presented of Legionnaires, Calvary, Standard Bearers, Centurions, and auxiliary infantrymen. There are plenty of close-ups and detail shots of daggers, helmets, chain main, link plate, shields, and siege engines. Best of all, there are photos showing Legions marching, in formation, defending, and setting up defenses. There are no enemy actors in the photos so someone looking of battle scenes or how Rome's enemies look like will have to use other books. 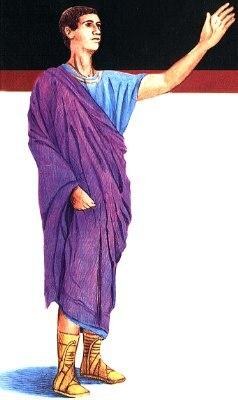 Roman Legionary 58 BC- AD 69 (Warrior 71): Author: Ross Cowan; Ilustrator: Angus McBride. What I like about htis book, is that it tells about the soldier's LIFE, not just battles or his kit. The puffy people will look down their noses at Osprey books, but I tend to like them for the reenactor. Sure, you can buy books with more detail, but to start, to get a feel for the book, you need this! Buy it, you won't go wrong. Publisher's description: The period 31 BC-AD 43 saw the greatest expansion of the Roman Empire. In 31 BC Octavian defeated Antony at the battle of Actium and remodelled the semi-professional Roman army into a permanent force of 28 legions. Octavian became the first emperor (Augustus) and under his leadership the legions conquered northern Spain, all Europe south of the Danube line and Germany west of the Elbe. The legionaries exemplified the heroic culture of the Roman world and this title takes a behind-the-scenes look at their lives, training, weaponry and tactics, including the bloody massacre of the Teutoberg forest. Roman Military Equipment from the Punic Wars to the Fall of Rome, second edition : Authors: M. C. Bishop and J. C. Coulston; Rome's rise to empire is often said to have owed much to the efficiency and military skill of her armies and their technological superiority over barbarian enemies. But just how 'advanced' was Roman military equipment? What were its origins and how did it evolve? The authors of this book have gathered a wealth of evidence from all over the Roman Empire excavated examples as well as pictorial and documentary sources to present a picture of what range of equipment would be available at any given time, what it would look like and how it would function. They examine how certain pieces were adopted from Rome's enemies and adapted to particular conditions of warfare prevailing in different parts of the Empire. They also investigate in detail the technology of military equipment and the means by which it was produced, and discuss wider questions such as the status of the soldier in Roman society. Both the specially prepared illustrations and the text have been completely revised for the second edition of this detailed and authoritative handbook, bringing it up to date with the very latest research. It illustrates each element in the equipment of the Roman soldier, from his helmet to his boots, his insignia, his tools and his weapons. This book will appeal to archaeologists, ancient and military historians as well as the generally informed and inquisitive reader. Legionary: The Roman Soldier's (Unofficial) Manual : Author: Philip Matyszak. A great book that puts the information there in an easy to understand, yet humerous manner. Is it deep? No. Is it supposed to be? No. This book DOES, however, impart some really good knowledge about the Legions and their soldiers. And it really is, kind of like a soldier's handbook. Publisher's description: This carefully researched yet entertainingly unacademic book tells you how to join the Roman legions, the best places to serve, and how to keep your armor from getting rusty. Learn to march under the eagles of Rome, from training, campaigns, and battle to the glory of a Roman Triumph and retirement with a pension plan. The Roman Army: The Greatest War Machine of the Ancient World (General Military) : Author: Chris McNab. The image of the Roman legionary is as familiar today as it was to the citizens - and enemies - of the vast Roman Empire two thousand years ago. This book goes beyond the stereotypes found in popular culture to examine the Roman Army from the first armed citizens of the early Republic through the glorious heights of the Imperial legions to the shameful defeats inflicted upon the late Roman Army by the Goths and Huns. Tracing the development of tactics, equipment and training, this work provides a detailed insight into the military force that enable Rome to become the greatest empire the world has ever seen.As well as describing the changes in the army over the centuries, The Roman Army also sheds light on the talented men who led these soldiers in battle and the momentous battles fought, including Cannae, Pharsalus, and Adrianople. Illustrated with detailed maps, artwork and photographs, this volume provides a complete reference to the Roman Army from the 8th century BC to the period after the fall of the Western Roman Empire in the 5th century AD. Greece and Rome at War : Author: Peter Connolly. One of the "Standards" in studying the Greeks and Romans. Really great illustrations and even photos of the battlefields in the present day. Worth every penny! Publisher's description: In this sumptuous guide to twelve centuries of military development, the late Peter Connolly combines a detailed account of the arms and armies of Greece and Rome with his superb full-color artwork. Making use of fresh archeological evidence and new material on the manufacture and use of the weapons of the period, the author presents an attractive and impressive volume that is both scholarly and beautifully presented with illustrations that are, quite rightly, recognized as being the best and most accurate representation of how the soldiers from these formidable military empires appeared.Greece and Rome at War lucidly demonstrates the face of battle in the ancient world. Covering the wars between the Greeks and the Persians and the epic contest between the Romans and their most capable opponent, Hannibal, as well as organization, tactics, armor and weapons, and much more, this excellent work brings the armies of Greece, Macedon and Rome vividly to life. This new revised edition contains a Preface by Adrian Goldsworthy. Roman Army from Caesar to Trajan (Men at Arms Series 46) : Author: Michael Simkins. an older book, but still a good addition to one's library. The Roman Army from Hadrian to Constantine (Men at Arms Series, 93) : Author: Michael Simkins. an older book, but still a good addition to one's library. Publisher's description: This book is also available with a different cover as "Legions of the North." The year of 122 was the first time a Roman Emperor had set foot in the Province of Britannia since the invasion in AD 43. No doubt he had read many reports concerning the damage caused by marauding tribesmen crossing from what is now Scotland into the Province. Hadrian, therefore, decided - in the words of his biographer - 'to build a wall to separate the Romans from the Barbarians'. This engaging work from author Michael Simkins explores in depth the organisation, equipment, weapons and armour of the Roman Army from Hadrian to Constantine, one of the most exciting periods in Roman history. 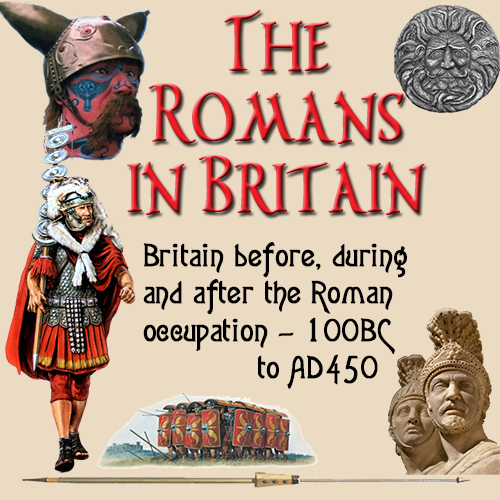 Roman Military Clothing (1): 100 BC-AD 200 (Men-at-Arms) (Vol 1) ) : Author: Graham Sumner. A great book that gives a lot of information on a subject that isn't often covered. Well worth bying! Publisher's description: The armour and weapons of Rome's legionaries and auxiliaries have been the subject of intense research and speculation, and much has been published - but almost nothing on the actual clothing of Imperial soldiers. In this first part of a rigorous study of the literary, sculptural, pictorial and archaeological evidence, a specialist author/artist examines the clues which enable us to attempt reconstructions of tunics, cloaks, footwear and other items worn by officers and men all over the empire, from the late Republic to c.200 AD. His text is illustrated with meticulous drawings of surviving relief sculptures - particularly soldiers' gravestones - and eight striking colour plates. Roman Military Clothing (2): AD 200-400 (Men-at-Arms) (v. 2): Author: Graham Sumner. A great book that gives a lot of information on a subject that isn't often covered. Well worth bying! Publisher's description: The armour and weapons of the Roman army have long been the subject of intense research and speculation. While much has been published on their arms and armour, however, the actual clothing of Imperial soldiers has largely been overlooked. In this second part of a rigorous study of the literary, sculptural, pictorial and archaeological evidence, the specialist author-artist examines the clues which enable us to attempt reconstructions of items worn by officers and men all over the empire during the two centuries between the reign of Septimius Severus and the twilight years of Stilicho. Roman Military Clothing (3): AD 400-640 (Men-at-Arms) (v. 3) : Author: Raffaele D'Amato. Late Roman. A good primer on this time period's clothing. Publisher's description: The early Romans were only one of a number of peoples that inhabited Iron Age central Italy. From the 8th to the 3rd century BC, the Romans undertook territorial expansion, and conflict with neighbouring tribes and cultures resulted in open war, most notably with the Samnites. Alliances sprang were created too - but the rise of Rome was unstoppable. This title covers the equipment, weaponry and dress of the early Romans, from the traditional foundation in 753 BC to the third century BC, where the dominance of Rome was beyond challenge. It also deals with developments in warfare, covering the early cavalry, the pre-hoplite army, the hoplite army and the manipular army. Etruscan, Latin, and Samnite warfare are also discussed. Republican Roman Army 200-104 BC (Men-at-Arms) : Author: Nicholas Sekunda; Ilustrator: Angus McBride. Publisher's description: The principal source of information on the Roman Republican Army is the sixth book of the Histories of the Greek historian Polybius, written a little before 150BC. This engaging text by Nicholas Sekunda draws heavily on this vital source to outline the equipment and organisation of the Roman Republican Army from 200 104 BC -- a time when Rome was growing from a regional to a world power. With plenty of photographs and illustrations, including eight vivid full page colour plates by Angus McBride, this fascinating volume examines such topics as the Roman shield, helmets, the cuirass, greaves, the pilum, legion organisation, the principales and the tactics they employed. The Praetorian Guard (Elite) : Author: Boris Rankov; Ilustrator: Richard Hook. Publisher's description: The Praetorian Guard of Imperial Rome was the power behind the throne, with the ability to make or break an Emperor. Its origins lay in the guards units of republican commanders and the units of Octavian and Anthony that fought at Actium. This title covers the organisation, dress and history from these early days to the Guard's effective destruction at the battle of Milvian Bridge in AD 312, and also details the guard units of the third and fourth centuries that replaced those lost. Lorica Segmentata Volume I: A Handbook of Articulated Roman Plate Armour : Author: M.C. Bishop. THE book to get on the Lorica Segmentata. Well worth it and although pricey, it will help you if you are trying to build a set of this armor. Publisher's description: This monograph is the first in-depth examination of articulated Roman plate armour since H. Russell Robinson published his ground breaking reconstructions of lorica segmentata in The Armour of Imperial Rome (1975). The book contains a detailed discussion of all the significant evidence including previously unpublished material. Bishop looks at each of the principle types of articulated plate armour, using photographs and drawings of original finds alongside full-sized and specially-prepared computer-generated reconstructions. He examines the strengths and weaknesses of this form of armour, considering a wide range of technical details, as well as practical aspects relating to its reproduction. An accompanying website will provide additional multimedia resources, including colour photographs of original and reconstructed segmental armour, 3D models, video clips, plans, and card models. (100 b/w figures). Late Roman Cavalryman AD 236-565 (Warrior) : Author: Simon MacDowall; Ilustrator: Christa Hook. Publisher's description: The twilight of the Roman Empire saw a revolution in the way war was waged. The drilled infantryman, who had been the mainstay of Mediterranean armies since the days of the Greek hoplite, was gradually replaced by the mounted warrior. This change did not take place overnight, and in the 3rd and 4th centuries the role of the cavalryman was primarily to support the infantry. However, by the time of the 6th century, the situation had been completely reversed. Late Roman Cavalryman gives a full account of the changing experience of the mounted soldiers who defended Rome's withering western empire. Are there any "bad" DK books?? The photography in this book is fabulous. Students can use this book to get ideas for reports or designing models. The pictures are bright and beautiful and really make the ancient Roman culture come to life! This is an outstanding book to add to your classroom or homeschooling library. If you don't live near the British Museum or Museum of London, then this book is the next best thing! See a Roman gladius (sword) and gold and silver scabbards. Examine a Roman soldier's armor and impedimenta (baggage). Find out what life was like for women and children. There are photographs of actual children's toys, gladiatorial helmets, chariots, theater masks, even medical instruments and leather sandals. The Praetorian Guard of Imperial Rome was the power behind the throne, with the ability to make or break an Emperor. Its origins lay in the guards units of republican commanders and the units of Octavian and Anthony that fought at Actium. This title covers the organisation, dress and history from these early days to the Guard's effective destruction at the battle of Milvian Bridge in 312 AD, and also details the guard units of the third and fourth centuries that replaced those lost. This new version of Webster's Work on the Roman Invasion of Britain includes the latest fieldwork and is for the serious researcher as well as the student who just wants to get smarter quickly. The well written prose, unobtrusive references, clear maps, crisp line drawings and extensive Appendixes make this a top shelf addition to your library. The photographic plates, while in Black and white, are clear and supplement the text. You should get this, even if you have an earlier edition, for the revisions and corrections are worth the paltry cover price. Caesar Against Rome is an absorbing narrative of the four-year Roman Civil War that began with Caesar's crossing of the Rubicon in 49 BCE. Focusing always on Caesar, the book sketches a panorama of Roman society―the first society to display the ambition, greed, and intrigue of modern politics―in the last century before Christ. Caesar was a complex and contradictory figure, extraordinarily talented and extremely ambitious, but at the same time vain, careless, and inclined to be forgiving. While Caesar's unusual clementia was a major factor in winning popular support, soldiers, and towns to his side, it allowed virtually all enemy leaders to return to the battlefield against him. Supplemented by the writings of other ancient historians as well as the latest research, this book is based primarily on Caesar's own detailed Commentaries, written to explain and justify his military campaigns. Those interested in Roman history will find a wealth of information about every aspect of life in the late Roman Republic, including political issues, class divisions, marriage customs, travel, food, and entertainment. Military historians will discover details about every facet of Roman warfare from weaponry to personnel policy, to tactics, operations, and logistics. Single chapters are devoted to each campaign: Greece, Africa, Spain, and Egypt. The Gallic campaigns firmly established Julius Caesar (100 B.C.–44 B.C.) as one of the greatest commanders of all time. After success there, Caesar turned his loyal army back toward Rome. Crossing the Rubicon, he initiated a civil war, marched triumphally to the capital, besieged Pompey at Brundisium, and pacified Spain. With a tiny army he routed Pompey's far larger forces at Pharsalus, pursued him to his death in Egypt, and established Cleopatra on her throne.Though Caesar's Commentaries are among the most exact and picturesque of historical writings, it is only through knowledge of the geography and weaponry of his campaigns that one can properly understand them. In this history, T. A. Dodge, one of the only military historians to have visited every one of the great general's known battlefields, makes full use of other chroniclers and critics and supplements them with his clear, insightful descriptions of the battles. As a fully illustrated and complete military history of one of history's greatest generals, Caesar is unparalleled. Siege machinery first appeared in the West during the Carthaginian invasion of Sicily in the late-5th century BC, in the form of siege towers and battering rams. After a 50-year hiatus these weapons of war re-appeared in the Macedonian armies of Philip II and Alexander the Great, a period that saw the height of their development in the Ancient World. The experience of warfare with both the Carthaginians during the later-3rd century BC, and Philip V of Macedon during the early-2nd century BC, finally prompted the introduction of the siege tower and the battering ram to the Roman arsenal. This title traces the development and use of these weapons across the whole of this period. Hannibal is often considered the finest general the world has ever known. Setting out from Carthaginian-dominated Spain with a small army of select troops, he fought his way over the Pyrenees and crossed the Alps with elephants and a full baggage train. Descending into Italy, he destroyed the main Roman army at Lake Trasimeno and came close to conquering Rome itself. At Cannae, Hannibal's brilliant cavalry tactics enabled him to cut to pieces a reassembled Roman army, and his subsequent defeats over a fifteen-year stay in Italy were due more to lack of sufficient support from home than to any failings of generalship. T. A. Dodge's classic history, first published in 1891, is equally perceptive of Hannibal's military prowess and his visionary character. Dodge followed Hannibal's route from Carthage to Italy, paying particular attention to the famous crossing of the Alps, exploring every pass in order to determine Hannibal's route. In this book, he wrote an entire history of the art of war among these two mighty armies and included hundreds of invaluable illustrations. Hannibal remains unequaled as the most comprehensive and readable study of history's greatest general. The essential element of the Roman army. While the legions of the Roman Imperial Army became both legendary and emblematic of the power of ancient Rome throughout its empire, it was inevitable — as with all empires which have expanded to the point where they must control vast and widely dispersed territories — that the core forces of the original state would be insufficient to allow such widespread policing or effective defence throughout the empire as would often be necessary. Auxiliary troops have been employed throughout history, and those from this early period, raised among and manned by the peoples of the Roman world played a vital-if often unsung-role in the service of the state by providing specific military specialities and reinforcements for the legions on campaign and in garrison. This finely researched work examines the role of the auxilia from its strength to its organisation-both infantry and cavalry-in the first and second centuries AD. This a good book about a subject that has very little info in the general public domain. The book though is not for a person with a casual interest in Roman military history, Osprey and other books of that type fill that middle passage. This book is for people who have completed that passage and are looking for more concise (dry) and historical information. I would compare this work to some works by authors Southern and Dixon. As much as I like the Eagle series of books this isn't for the fan looking for something similar. Discusses the way of life, training, and equipment of the Roman army and examines the duties of officers and soldiers of the legion. The author summarizes the equipment and recruitment of the legionaries and the auxiliaries, and also takes a useful look at Roman artillery. Included are a useful chart showing the command organization of a legion, and maps showing the main recruitment areas for the 2nd Century Empire. There are a number of black and white photos as well as some interesting and well-done line illustrations of the troops, and the front and back covers both show reenactors of the Ermine Street Guard. The Roman Army is a wonderful little book — little because it's only about 48 pages, but those pages are packed full of information, and colorful illustrations. And, though it is pretty dated, the text is still very accurate in its information. This booklet focuses primarily on the Roman Army under Traianus (Trajan, 98-117) and Hadrianus (Hadrian, 117-138), but makes mention of soldiers and tactics from the 1st-4th Centuries AD. As it is a pretty short book, the author doesn't waste a lot of time on jargon. It does not really make an attempt to entertain the reader, but at the same time is not dull to read. This fascinating study by a widely published scholar chronicles Rome's long series of conquests -- from the subjugation of its Italian neighbors, to the Punic Wars against Carthage, to the absorption of the Greek city-states and kingdoms, to Caesar's conquest of Gaul, to the acquisition of Britain. The story of these conquests is richly augmented by detailed descriptions and analyses of changing and evolving military weapons, armor, formations, tactics, and strategies. In this original and revealing work, Jeremiah B. McCall challenges the generally accepted view of the Roman cavalry and explores the fundamental connections between war and society in republican Rome, c.300-100 BC. McCall describes the citizen cavalry's equipment, tactics, and motivation in battle, and argues for its effectiveness in the field. This success is proof that it cannot finally have been disbanded for purely military reasons; he shows that victories in the law-courts, and lavish displays of wealth, came to supersede cavalry service as a way of building the reputations of the Roman elite. The clear structure and fresh approach of the book, combining insights from both Roman military and social history, will be useful to readers at all levels of study. In the first and second centuries A.D., Roman soldiers were forbidden legitimate marriage during service: nevertheless, many soldiers formed de facto marriages. This book examines the legal, social, and cultural aspects of the marriage prohibition and soldiers' families. The first section covers the marriage prohibition in Roman literary and legal sources. The second section treats social and legal aspects of the soldiers' families, including a survey of epitaphs, the legal impact of the ban on families, and alternatives to family formation. The final section examines the marriage ban as military policy and its relation to Roman culture. This book will be of interest to scholars of the Roman army, Roman social history, and family law. Students of gender and sexuality in the ancient world will also find it relevant. For more than seven centuries most of the Near East was part of the Roman empire. Yet no work exists which explores the means by which an ancient power originating in the western Mediterranean could control such a vast and distant region. What was the impact of the army presence on the population of the provinces? How did Rome respond to the challenge posed by the desert and its nomadic population? Isaac here offers answers to these questions in the first comprehensive treatment of the Roman military presence in the Near East. Using both well-known and neglected sources, he reassesses the means by which Rome achieved and maintained its control over the region. His study, now revised and updated to reflect recent research findings, casts new light on an important issue which has far-reaching implications for the understanding of ancient and modern imperialism. Barbarians within the Gates of Rome : A Study of Roman Military Policy and the Barbarians, Ca. 375-425 A.D.
Thomas Burns takes us thoroughly through this moment of crisis, giving us a precise analysis of the principal players in this period of transition. The book is well-written and throws new light on the events in the West a short while before the Fall of the Empire. A major work on Roman policy toward the barbarians during one of the most exciting and challenging periods in the history of the Roman Empire, when barbarian soldiers became part of the forces defending the Roman frontier and gradually its rulers. By the close of these five decades, the Western Empire — hence Western Civilization — had changed forever. It is a very readable book that manages to be scholarly but still quite enjoyable. Anybody who is interested in this era in western civilization would enjoy this book. The usual view of the decline of Rome-- that it fell for some sort of "moral" reason --is very inacurate and this book presents the real truth of this pivotal era in a very entertaining manner. Burns is the rare academic whose writing is as lucid as it is learned, and this book admirably displays that. If you've never given this era a serious look, this book is a great introduction. The story of the Roman military machine begins with the crisis that enveloped Rome in the late second century B.C., when soldiers became the Empire's worst enemy, pillaging citizens and creating social turmoil. In the closing years of the second century B.C., the ancient world watched as the Roman armies maintained clear superiority over all they surveyed. But, Rome also faced an internal situation that endangered the supremacy across the expanse of the Empire. Social turmoil prevailed at the heart of her territories, led by an increasing number of dispossessed farmers, too little manpower for the army, and an inevitable conflict with the allies who had fought side by side with the Romans to establish Roman dominion. Storming the Heavens looks at this dramatic history from a variety of angles. What changed most radically, Santosuosso argues, was the behavior of soldiers in the Roman armies. The troops became the enemies within, their pillage and slaughter of fellow citizens indiscriminate, their loyalty not to the Republic, but to their leaders, as long as they were ample providers of booty. By opening the military ranks to all, the new army abandoned its role as depository of the values of the upper classes and the propertied. Instead, it became an institution of the poor and drain on the power of the Empire. Santosuosso also investigates other topics, such as the monopoly of military power in the hands of a few, the connection between the armed forces and the cherished values of the state, the manipulation of the lower classes so that they would accept the view of life, control, and power dictated by the oligarchy, and the subjugation and dehumanization of subject peoples, whether they be Gauls, Britons, Germans, Africans, or even the Romans themselves. After Rome defeated its age-old enemy, Carthage, it was the undisputed ruler of a vast empire.Yet, at the heart of the Roman Republic was a peculiar flaw: an uneradicable tension between the aristocracy and the plebians, and each regarded themselves as the foundation of Rome's military power. Swords Against the Senate relates how the republic began to come apart amid military and political turmoil-the smoldering anger of the common people, a petty war against a treacherous North African prince, an invasion by Germans and an Italian political uprising. In the crisis Gaius Marius, the "people's general," rises to despotic power but is eventually replaced by the brutal dictator Sulla, who in turn spawns the man who would transform turmoil into imperial triumph, Julius Caesar. In this fast-paced, fact-filled work, personal intrigue, treachery, and occasional moral virtue vie for the reins of power. The Roman army, once invincible against foreign antagonists, becomes a tool for the powerful and government its foe. Erik Hildinger has written a fascinating, insightful work of history. This classic work of scholarship scrutinizes all aspects of Roman military forces throughout the Roman Empire, in Europe, North Africa, and the Near and Middle East. Graham Webster describes the Roman army’s composition, frontier systems, camps and forts, activities in the field (including battle tactics, signaling, and medical services), and peacetime duties, as well as the army’s overall influence in the Empire. First published in 1969, the work is corrected and expanded in this third edition, which includes new information from excavations and the finding of contemporary scholars. Hugh Elton provides an introduction surveying scholarship on the Roman army since the last edition of 1985. Recreates the life and training of the rank-and-file soldier, from enlistment to discharge. This is overall, a good book that gives the reader an idea as to what the Roman army was like from the perspective of the average soldier. G.R. Watson provides a historical and sociological analysis of the Roman army from the perspective of the individual soldier as opposed to being just a general chronological summary or studying it more under a political analysis. Watson covers the subjects in the order that a new recruit would encounter them such as sign up, training, terms of service, etc. The book doesn't study the evolution of the Roman army per se as he uses the later Roman Imperial army as a model as it had pretty much fully evolved in its institutions by that time. Watson reinforces his description and summary with various examples from different periods in the Roman Empire without resorting to a chronological order. Despite being a thin paperback, the book's conclusions are supported by extensive and thorough historical references and is easy to read for any level of education. As a result of both internal and external pressures on the Empire, the third century was a period of transition and transformation for the Roman army. It saw changes in its role, organization and equipment. Having looked briefly at the role and the tactical organisation of the army, I.P. Stephenson deals systematically with defensive equipment such as helmets, body armor, and shields, and offensive equipment such as spears, swords, javelins, and slings. He also considers how each piece of equipment was used — not just how it looked. This book covers a very narrow and clearly defined topic: Roman military weapons, armor and equipment in the 3rd Century. If you are illustrating accounts of the Roman Crisis of the Third Century, this book is a dream come true! Stephenson covers literary evidence, which is sparse for this pivotal era; archaeological evidence and artistic representation, which seems to cover all possible sources and in this field are the accepted sources of authentic representation of Roman weapons, armor and military gear. It has to be pointed out that compared to the era of the High Roman Principate and the Roman Christian era, there is comparatively scant evidence to work from. At some point between the era of Trajan's column and the accession of Constantine the look of Roman legionaries underwent a drastic change. The lorica segmentata was abandoned for scale and mail armor. The Imperial Gallic helmet underwent further change. The rectangular shield was replaced by the oval or circular flat one and the underlying clothing underwent a real barbarization as pants and sleeves became commonplace. The close order swordsmanship of the old-school legionary seems to have been given way to something like a reversion to the acies triplex (with missile troops/light infantry skirmishing at the front in the form of the lanciarii) or the Greek phalanx with pikemen wielding long spears to keep cavalry at bay. The Making of the Roman Army explores how a small citizen militia guarding a village on the banks of the Tiber evolved into the professional Roman army. Lawrence Keppie pays particular attention to the transitional period between Republic and Empire - the time of Julius Caesar, Mark Antony, and Augustus. Keppie overcomes the traditional dichotomy between a historical view of the Republic and an archaeological approach to the Empire by making the most of the often overlooked archaeological evidence from the earlier years. Caesar praised them in his Commentaries. Trajan had them carved on his Column. Hadrian wrote poems about them. Well might these rulers have immortalized the horse guard, whose fortunes so closely kept pace with their own. Riding for Caesar follows these horsemen from their rally to rescue Caesar at Noviodunum in 52 B.C. to their last stand alongside Maxentius at the Milvian Bridge. It offers a colorful picture of these horsemen in all their changing guises and duties — as the emperor's bodyguard or his parade troops, as a training school and officer's academy for the Roman army, or as a shock force in the endless wars of the second and third centuries. Written by one of the world's leading authorities on the Roman army, this history reveals the remarkable part the horse guard played in the fate of the Roman empire. This superbly illustrated volume traces the evolution of the art of warfare in the Greek and Roman worlds between 1600 B.C. and A.D. 800, from the rise of Mycenaean civilization to the fall of Ravenna and the collapse of the Western Roman Empire. John Warry tells of an age of great military commanders such as Alexander the Great, Hannibal, and Julius Caesar — men whose feats of generalship still provide material for discussion and admiration in the military academies of the world. The text is complemented by a running chronology, 16 maps, 50 newly researched battle plans and tactical diagrams, and 125 photographs, 65 of them in color. Relying on a variety of literary, documentary and archaeological sources, this work explores the Roman military supply system from the Punic Wars to the end of the Principate. Each chapter is devoted to a different aspect of logistics: supply needs and rations; packs, trains and military servants; foraging and requisition; supply lines; sources of supply; administration; and the impact of logistics on Roman warfare. As a whole the book traces the development of the Roman logistics into a highly sophisticated supply system - a vital element in the success of Roman arms. In addition, it makes a critical study of important technical questions of Roman logistics, such as the size of the soldier's grain ration, the function of military servants, and the changes in logistical management under the Republic and Empire. This reissue of a 1937 classic covers ancient naval warfare from the Greco-Persian War to the Campaign of Actium. Although this book was first published in 1937 and many of its references may be a bit dated it still offers a novice in this field of history and enjoyable and interesting read. The author, a retired Vice Admiral (USN), tells a great story using numerous primary and secondary sources available to the historian at that time. The book covers the history of naval warfare; weapons, tactics, and strategy in a general manner that is very easy to read and understand and quite engaging. The book covers the period from the Greco-Persian War in the early part of the fifth century B.C. to the battle of Actium in 31 B.C. covering all the major battles and campaigns that occurred during this era. We read of all those famous engagements, and some lesser know battles, between the Greeks and Persians, between Athens and Sparta, and the many Roman encounters with Carthage and the Roman expansion into the Mediterranean world. The book offers the reader 540 pages of text with a number of maps and line drawings offering details of the fighting ships in use at the time. Overall I would recommend this title to anyone who has a love for this period of history or who just enjoys a good history book, but keep in mind that it was published before the Second World War. Now available in paperback, The Imperial Roman Army looks at the structure and development of the army between the Republic and the Late Empire, examining why the army has always been accorded such a prominent position in the history of the Roman Empire, and whether that view is justified. The book is divided into three sections. The author first examines the major divisions of army organization, the legions, the auxiliary units, the fleet and how the men were recruited. Secondly he looks at what the army did, their training, tactics and strategy. Finally he considers the historical role of the army and how it fitted into Roman society. This work is a chronology of ancient battles from earliest recorded Greek history to the end of the Roman Republic. This comprehensive reference book on the battles of the ancient world covers events from the eighth century BC down to 31BC, when Octavian defeated Antony and Cleopatra at the battle of Actium. The author presents, in an exciting and vivid style and complete with battle plans and maps, all of the land and sea battles of the Greek and Roman worlds, based on the accounts by historians of the time. Only battles that have a recorded date and location and also took place in the open are mentioned. Thus, sieges are eliminated unless sallies resulted in an open confrontation, and some famous battles, such as the victories of Spartacus over the Roman legions, are omitted because of a lack of information about date or place or both. The best single-volume reference book for classical battles &mdash; Brings together the accounts of the ancient historians. It has a very useful table of contents and a list of 14 maps and 18 battle plans 8 x 10 * begin the volume, which is then divided into three parts. Part one provides background information on the Greek and Roman armies and navies and the reliability of data. This is accompanied by a listing of 32 primary sources and a glossary of 47 terms. Part two is composed of a chronological table of battles of the Greek world and a text section providing descriptive information. The chronology gives date and place of the battle, name of the war or conflict, and the names of the victors and losers. A helpful abbreviation key denotes geographic features and indecisive battles. Most entries in the text section are only a few paragraphs long, although some (e.g., Marathon, Thermopylae) are a full page in length. A typical entry gives the name of the battle, date, location, name of the conflict, and a description of the event. Each entry has a citation at the end noting the original source. Part three is organized in the same manner as part two but covers the Roman world. Occasional battles taking place where the Greek and Roman worlds intersected are covered in the text of the Greek section and designated in the Roman chronology by an asterisk. Rounding out the volume are a short bibliography, an index of persons, and an index of places. This is a unique resource for which there are no comparable works. It will be useful to students, scholars, and enthusiasts of war gaming. Academic and large public libraries with an interest in ancient history should consider this monograph for inclusion in their reference collections. John Drogo Montagu's love of classical history was fostered in childhood by an inspiring teacher. After a career in medicine, Montagu returned to the classical world and wrote this book. The book explains high-level strategy in a very understandable, common-sense way and enlightens the reader as to how the empire's frontiers were considered and managed by the empire over different time periods and as conditions around them changed. Gives one a good perspective as to how they were able to maintain such an expansive empire using very limited technology and manpower for so long. Great book, but not for someone without good knowledge of Roman History before-hand. Here is a great review that I am stealing off amazon. The author of the review, William J. Strutz, seems to have a good handle on it. Better than most and certainly better than amazon. The book is very wonkish, which means that if you are a real nerd, this is perfect. If you are more interested in personalities and who-knifed-who, this is not your book. The book has excellent maps. It also has excellent "staff college" diagrams. That is, if one has a certain front to defend against attacks of all types (from cattle raids to major invasions), how does one use the features of the landscape to build a defensive system, with limited troops? Luttwak goes through the staff-college analysis and provide illustrative diagrams, mostly theoretical ones but also some which are actual maps of actual Roman deployments. In several places, he provides lists of how many legions were in each province, so there are 4-5 periods of time when you can see the high-level deployment scheme. He is also very interesting on the system of having "client states," "friends of Rome," and buffer states. It is not necessary, and sometimes not advisable, to conquer an area outright if you can designate a local ruler to act as puppet. The puppet ruler is a local who knows the people, knows who is important, and can control the area's internal affairs much better than a parachuted-in Roman official could. Once Rome became a hegemon, its neighbors would often do as they were told because they knew that Rome could march in whenever it became displeased. The reservations? Well, the very name of the book is a simplification because there is no evidence that the Romans sat down and developed a grant strategy. They never had a "general staff" or a "staff college." At times the defenses were designed (when an area was first taken over, or when an emperor reviewed the situation as Hadrian did.) Most of the time, the system remained as it had already been set up, and sometimes evolved as the provincial commander made adjustments. Also, he talks about the placement of legions and when they did (or did not) constitute a mobile reaction force. I find most of that discussion to be moot. They generally placed legions well forward because that is where they might do some good. Movement was agonizingly slow, so the focus should be on limiting the distances to be marched. If an enemy came in thru a gap, then the nearest legions would move sideways to either seal the gap or attack the invading force. The permanent deployment was very far forward, with the best lateral roads they could build. If the threat was too large for nearby forces, they would take whatever legions were nearest, even if that meant a march from Hispania to the Rhine; therefore they built long roads from the interior to the frontier. Goldsworthy examines how the Roman army operated on campaign and in battle. He compares the army's organization and strategic doctrine with those of its chief opponents and explores in detail the reality of battle: tactics, weaponry, leadership, and, most of all, the important issue of morale. From an aggressive Republic to a dominating Empire, Roman culture and influence spread through three continents on the backs of its armies. Military power, flexibility of command, pursuit of glory, and pure mechanical determination shape the Roman world from 100 BC to 200 AD. For three centuries, the Romans expanded borders and spilt blood, fighting the enemy and themselves. It is to this end that Adrian Keith Goldsworthy attempts to show the Roman world, and more precisely the Roman military, with more emphasis on individuality than is typically discussed. He does so in his work, The Roman Army at War, an in depth book comprising of organization, movement, and tactics, as well as a deeper delve into a sphere of human emotion and motivation, asking why events unfolded as they did and to what end. Emphasis is placed on the individual thoughts and motives within a campaign, whether it is the lowest recruit or the Emperor himself. Gone are the days of archaic military history thinking in terms of emotionless blocks of troops moving in straight lines, ready to lay their lives down for the cause of Roman victory. Goldsworthy navigates through a sea of frail conclusions, unconvincing explanations, and unreliable sources, many of which he cites throughout the text, dealing with the Roman military and how they waged war, coming out the other side into the fairly uncharted waters of how war was waged on the individual. This is the new frontier of military history and is in dire need of further research as stated by Goldsworthy. Blocked off in six main chapters with several sub-topics contained within each chapter, Goldsworthy reveals a story of Roman military life which is not always cut and dry and certainly not romanticized. The Roman army is recognised as one of the most effective fighting machines that the world has ever seen. However, the senior officer corps of the Roman army was essentially amateur, made up of aristocratic men pursuing political careers. What then was the secret of the Romans' success? Kate Gilliver provides the first comprehensive study of military theory — as well as practice — in the late Republic and early Empire. She draws not just on the ancient textbooks, but makes use of the other contemporary literary evidence and on the wealth of archaeological evidence for military activity. In five central chapters, Dr Gilliver looks in detail at all aspects of the Roman army; at its organisation, the order of march, temporary encampments, pitched battles and siege warfare. These chapters reveal the army's very flexible organisation and skills, as well as it discipline. The book also contains a fine range of illustrations, an Appendix of all the key Roman military treatises and a full Glossary of key technical terms. The complete work will command a wide international readership, particularly among military historians, archaeologists and wargamers. Kate Gulliver read Classics and Classical Archaeology at King's College London and then took her PhD at University College London. Currently she is Senior Lecturer in Ancient History at Cardiff University. She has published on many aspects of the Roman army but this is her first full-length book. The cavalry was a vital part of the army of Rome and it played a significant role in the expansion and success of the Roman Empire. Karen R. Dixon and Pat Southern describe the origins of the mounted units of the Roman army and trace their development from temporary allied troops to the regular alae and cohorts. They have drawn together evidence from a wide variety of sources: archaeological, epigraphic and literary, as well as comparing ancient testimony with more recent experience of the use of cavalry. The book covers the subject from the perspective of both the men and the horses. How were the horses selected and disposed of; how were they trained, stabled and fed? How were the men recruited, organized and equipped; and what were the conditions of service for a Roman cavalryman? The cavalry had to be employed in peacetime and this is discussed as well as its role in war. The image of the Roman cavalry is often one of excitement and glory but the authors are aware that a true picture must not overlook the routine and the suffering. This book provides a comprehensive account of the Roman cavalry and the current state of knowledge concerning it. The wide selection of illustrations includes original drawings by Karen R. Dixon. The Roman army is remarkable for its detailed organisation and professional structure. It not only extended and protected Rome's territorial empire which was the basis of Western civilisation, but also maintained the politcal power of the emperors. The army was an integral part of the society and life of the empire and illustrated many aspects of Roman government. This sourcebook presents literary and epigraphic material, papyri and coins which illustrate the life of the army from recruitment and in the field, to peacetime and the community. It is designed as a basic tool for students of the Roman army and Roman history in general and is an excellent way to supplement the standard book on the Roman army by Wilkes, Campbell's reference book makes available at reasonable costs some primary information about the army. Here we have the political and legal views along side those of the commander and common soldier. A great resource for graduates and undergraduates. Roman wars, like those of later times, took place in a landscape - a landscape not only consisting of mountains, plains and rivers, but also of men tilling the soil, travelling across sea or land, or employing other means in their struggle for survival (and even happiness). This book undertakes to examine Roman wars in this context of the natural and human environment. Roman warfare is generally examined from the vierpoint of the ancient authors on whose narratives our understanding depends. As a consequence, however, Roman wars seem to have become events that took place on the pages of a book rather than in the environment of the Mediterranean world. The way Roman wars were fought was determined by the geography and climate of the Mediterranean peninsulas, by the ecological restraints on agriculture and transport, and by the economic and social structures of the society of which the armies were a significant part. This book relates warfare to one of the main conditions of survival: it examines on the one hand the food supply of the many thousands that manned the Roman armies, and on the other the impact of war on the food supply of those people not waging war.